Looking for a lawyer? Looking for a legal information library? You could RSVP. 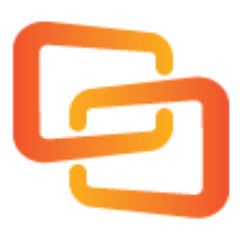 RSVP Law is an online service whose core offering is connecting clients with lawyers. Users of the service provide their contact information and specific needs, which are routed to an actual live person who will assist in finding matches that meet the criteria. Users can submit a request for a lawyer in very modern ways — by texting, Facebooking (is that a verb? 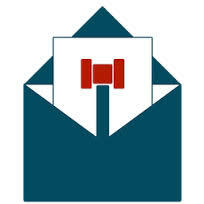 ), or tweeting — as well as more conventional ways like using the website form, emailing or by telephone. The service appears to be in the new-er side, as I was unable to find any reviews. You can find more on their website at the link above. What caught my attention about RSVP Law is its other aspect – creation of a free resource. RSVP Law is building a free-to-access online library of legal information. I would love to check this out, as I really like free resources. From the website, it appears that the resource is focused on offering context (location, type of business, availability) and ease of access (using your thumb, which I presume means mobile-friendly). RSVP Law is also taking requests on resources of interest on the page. However, it is currently in Private Beta. You can request a spot in their early access. To get access, text the number 760-230-0202, with the phrase Beta List #realhelpisfree access#realhelpisfree. Priority access is offered to existing BetaList users. Or you can visit the early access page here. I have and, if I can get in, I will update the post with my opinions on the resource. Neil Alonzo is the co-founder and Managing Director for RSVP Law. He has a background as an agent through his business Vocal Marketing Group. I have to hand it to Neil on website design – the site looks slick and is very easy to navigate, even if a bit bereft of detail. If you have used the service or have access to the private beta, would love to get your thoughts in the comments. Just in time for ILTA, the fine folks at Workshare are introducing a new version 8 that adds some great features to an already rich set, with lawyers firmly in mind. If you aren’t familiar with Workshare, it’s a business-oriented solution for document collaboration and comparison. Workshare touts its metadata cleaning tools, a must for legal professionals. Workshare operates within existing enterprise tools, such as the Microsoft suite, Adobe products and doc management systems like Sharepoint. It is designed to facilitate file sharing and document review and revision by multiple editors, with great features for tracking changes and quickly revising documents. Workshare is strictly a Microsoft Windows tool – sorry Mac users. The new version includes a very attractive new component – secure file transfer. It comes as part of the package when you purchase Workshare Pro, as compared to their standalone products Protect, Compare and Point, and their enterprise social network product Social. The secure file transfer feature allows high level encryption of documents even when they leave the enterprise for the wild world beyond the wall. Along with the robust comparison and metadata cleaning tools, Workshare 8 sounds like it solves a lot of legal headaches. Because the encryption is handled from the enterprise and follows the docs as they travel to other devices running the Workshare application, firms have far greater control over security than they would if they had to rely on the encryption in consumer grade tools on those remote devices. Workshare works on the web, on the desktop and on mobile tablets and smartphones. Workshare does require Windows 7 or 8 and Microsoft Office 2007 or later. Reviewers of the product who have actually used Workshare (I haven’t) comment on how easy it is to install and use. I was fortunate enough to get an opportunity to speak with Matt Brown and Ali Moinuddin on the day of the product announcement this past Monday. They explained a bit about the company and its 13 year history focused in this market sector. 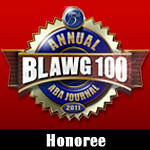 They are in 98% of the AmLaw Top 250 firms. They advised me that they have over 18,000 customers, with approximately 1.8 million users. That’s a decent sized community, no doubt. They talked about how seamlessly the product integrates into existing systems – metadata is removed behind the scenes when docs are converted to PDF or attached to email and protection is maintained even when outside the corporate network, as long as the Workshare application is employed on the remote devices. The new version also boasts some improved technology in the metadata cleaning piece – the process is much faster now so that users aren’t hindered by their email systems getting clogged by the process. Individual users or IT professionals can set permission levels and these permissions follow all the way to mobile devices. Another nice new add involved their OCR technology – for image-based documents and scans, the new product will be able to analyze and compare scanned docs. Now THAT is a pretty cool trick. The new version supports PDF-A, an image protocol required by many courts. While it doesn’t yet work with the Google Apps suite, they advise that they are looking into that integration. Workshare does currently support over 700 file formats. I do usually feature the free and cheap here in Advocate’s Studio, but I also am interested in the cost-effective. Workshare Professional 8 starts at $175/user/year and includes an annual subscription to Workshare Business Edition for Secure File Sharing, with available volume discounts. Workshare Business Edition starts at $75/user/year and include a 50Gb data allowance. There is an upgrade options available to Workshare Enterprise Edition from $75/user/year, which include unlimited data storage options for Enterprise. It sounds like a lot of money, but when you consider what Workshare will handle and replace, like your Adobe PDF manipulation software, your document management tool, your metadata cleaning tool, and your secure file transfer application, that’s a whole lot of functionality for the price. Encryption and security are necessary in the legal profession and many online collaboration and file sharing tools, particularly consumer grade tools, don’t even scratch the security surface necessary to comply with the laws regarding client privacy. Workshare 8 clearly is hoping to offer the type of security that helps you sleep at night. Check out their promo video for Workshare 8 below. And thanks Matt and Ali for taking the time to talk about your product with me. The Wolfram Lawyer’s Professional Assistant is a legal reference tool that provides access to a dictionary of legal terms, statutes of limitations for each state in the U.S., a tool for calendar calculations, a variety of calculators, and crime rate and demographic data. The app is powered by the Wolfram|Alpha computational knowledge engine and is compatible for use on all iOS devices. The app sells for $4.99 and may be downloaded from the iTunes App Store. Mobile Transcript is an app that provides attorneys with the ability to read deposition transcripts formatted for their devices. Transcripts are uploaded by attorneys’ court reporters to the Mobile Transcript website, which in turn downloads the transcripts to the attorneys’ devices (court reporters must hold asubscription with Mobile Transcript to be able to upload transcripts). The app allows attorneys to highlight and flag text. The app is FREE and is available for use on iPhone, iPod Touch, and iPad devices, as well as Droid and Blackberry devices. For iPhone and iPod devices, the app may be downloaded from theiTunes App Store. Mobile Transcript has a separate app optimized for the iPad that may be downloaded from the iTunes App Store. The app for Blackberry smartphones may be downloaded from the Mobile Transcript website, and the Droid version may be downloaded from Google Play. The Legal News Reader app is a simple RSS feed aggregator that retrieves important news stories from a number of legal news sites, thereby allowing the user to keep up to date on developments in the news in one convenient place. The app allows users to comment on articles, to read comments left by others, and to share stories with others. The app is $0.99 and may be downladed from the iTunes App Store. The PocketJustice FULL app provides you with abstracts of the U.S. Supreme Court’s constitutional decisions and access to audio files for its public sessions. The app includes voting alignments and biographical sketches for all 110 Justices, searchable transcripts, and information and audio for more than 600 constitutional law cases heard in the U.S. Supreme Court. The full version of the app is available for $4.99 and may be downloaded from the iTunes App Storefor use on the iPhone and iPod Touch (a FREE version may also be downloaded from the iTunes App Store, but it offers fewer features). The app may also be downloaded for use on Android devices from Google Play for $4.99. And there are lots more to check out. Load them up and head out with your law office in your pocket. 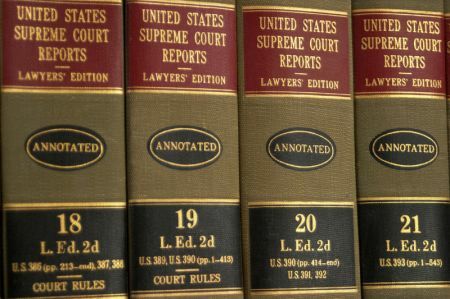 The Free Law Reporter an electronic case reporter that freely publishes nearly every recent appellate and supreme court opinion, from state to federal US courts, with emphasis on recent. Without getting into the nuts and bolts of the build, the FLR is looking to a free, unencumbered (by whom, I wonder?) law reporter fit for educational, research and practical purposes. It’s source feed pulls weekly so there is a potential lag time involved in securing results. Tapped sources include the appellate courts of the 50 states and the federal government. The service culls the slip opinions that are fed to it every week, and then organizes the opinions into “ebooks”, with each state and federal jurisdiction gathered into a volume. FLR is also working out its search function: basic keyword searching is now available and facet searching and “more like this” functionality is coming soon. Coverage starts January 1, 2011, so it is not much for archive searching. However, as it very cleverly formats the “ebooks” in the .epub format, they are viewable on virtually any desktop, laptop, tablet, smartphone and e-reader device, allowing interested parties to read the most current decisions in the relevant jurisdiction easily and efficiently. Right now, the feed include everything that comes from a given court including “unpublished” opinions, orders, and motions, which screams out for some level of filtering, which FLR promises is coming soon. And the FLP is actively soliciting law professors and other legal professionals to assist in a project to tag and add headnotes to opinions! Limitations notwithstanding, the FLP is precisely the type of research geared to modern practice that we should be clamoring for. Once clever developers learn how to harness the massive flow of legal information generated from our court and legislatures, make that information accessible and usable, then the old models of electronic research, with their hefty paywalls, invariably will have to change. It can’t happen soon enough for me. Hat tip to Robert Ambrogi’s LawSites. Just the other day, as I was hopping onto Westlaw for my daily visit, I noticed a little orange link at the top with admonishment that, for a limited time, I could try WLN free of charge. I am not one to turn up any chance to play with a new toy, particularly a free chance, so I decided to run my rather arcane inquiry in WLN instead of the old interface. I am not going to do a full blown review of WLN here – there are scores of great posts and articles out there that lovingly list out every feature and improvement. All I want to say is this: that new search algorithm West has outfitted WLN with really does improve your results. My query was on a very fine point of insurance law – I was having some difficulty even understanding the question, let alone formulating a tight search for an answer (after this many years in the biz, it takes something else entirely to make me scratch my head). So I entered my mostly unformed inquiry into the search box and, to my surprise, the very first hit was directly on point. I can only imagine what WLN would do with one of my familiar searches. The bottom line question for me on the issue of WLN has always been: is it worth the money? Before I would have responded, unequivocally, no way, Jose, I can get what I need just fine from the old interface. Now, I must qualify with the further response that, if you have matters requiring turbo-charged research in unfamiliar waters or cases where the stakes are higher and mistakes more expensive, then WLN may be a reasonable cost of doing business. Legal River brings legal information to the consumer. We at Legal River understand how confusing it can be to run a legitimate business and still not fully understand the law. Legal River was created to solve this problem. Whether you are a small business owner, an attorney or an individual, there is a place for you on Legal River. As a small business owner or individual, you can find legal information that will save you countless hours later trying to figure out how to fix an issue. Also, you can ask any law question you might have. As an attorney, you can use Legal River to learn about laws in different geographical regions or areas of law. You can also submit guides and answer questions; these will help you win points, unlock badges and reach new clients. Interesting, huh? On the surface, Legal River looks to be part information repository, part social network and part video game, complete with badges. Underneath, Legal River is a form of referral network, matching attorneys with business owners, although this is expressly disclaimed on their site. Their “referral” page promises to “let the right lawyer find you” as well as a response from five attorneys on legal questions within 24 hours. There are more than 300 law firms connected with the site and it appears their distinction (compared to Findlaw or lawyers.com) is their rapid turn-around on RFPs. But, if you aren’t so interested in getting hooked up with fee-based representation, there is a lot of information just laying around the site. The search box on the home page invites users to “find questions, answers, topics, or guides on legal matters.” “Insurance” gave me very general information on workers compensation, licensing agreements, sole proprietorships and C corporations. I was also offered an opportunity to “vote up” an article or comment on it. Or, I could peruse previously-answered questions on various topics, filtering them by recency, month or all-time popularity. There are tabs for questions, guides, tags, badges (more on that in a minute), open questions, a guide submission form, and a place to ask questions. The badges are interesting, to say the least, ranging from good to super questions or guides submitted to various levels of generalist, researcher, professor, paralegal, law student, law clerk, senior associate, partner, name partner, and LSAT through Bar Exam. For what it is worth, Legal River is not alone in this endeavor. Other firms have offered similar “fill in the blank” document generation, likely in an effort to win customers with freebies. Wilson Sonsini Goodrich & Rosati, P.C. host a similar Term Sheet Generator. Orrick, Herrington & Sutcliffe, LLP launched their version about a year ago. Private investors are interested too – Legal River secured two infusions of seed funding within the first year. What does it all mean? While it is hard for old school attorneys like me to stomach the implications of “one size fits all” when it comes to legal document crafting or any aspect of lawyering, the new school part of me recognizes that this is where all services are going – law is moving towards commoditization. Lawyers must develop sensitivity to cost concerns in response to the concerns of web-savvy consumers. While some of Legal River’s trappings make me smirk a bit (read, badges and points for intellectual output), the gist of what they are trying to do makes more and more sense as our economy moves on-line. If we are comfortable living and sharing in social networks and virtual worlds, why wouldn’t we feel comfortable shopping for legal information in similar venues? I will be watching to see where this move leads us. Perhaps down the Legal River, hopefully with paddle firmly in hand.